At CSI, we are passionate about transfer panels and have been for forty years. With our patented spool design and distinctive manufacturing method, CSI is the leading supplier of transfer panels for virtually any application. 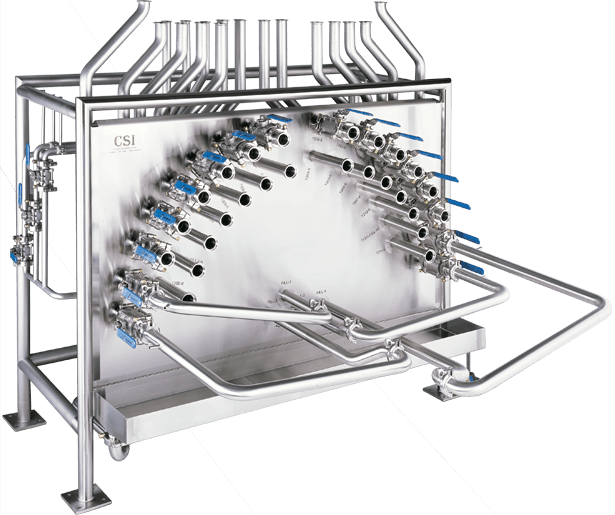 Transfer panels—also called flow diversion panels, flowverters, or swing panels—have been used for decades to provide a secure, clean, and effective method for directing fluid flow during production or cleaning. By providing a clean break to the atmosphere, you can't unintentionally mix or send products and cleaning solution down the wrong line. 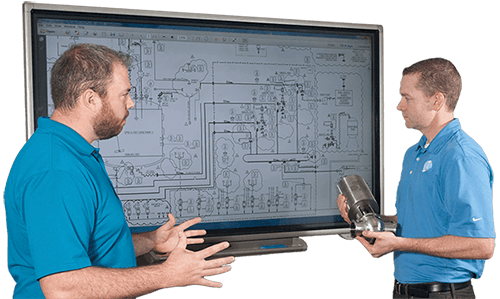 Still widely used today, transfer panels provide an effective alternative to more costly or less efficient flow diversion methods. Literature for Transfer Panels have been saved to your dashboard! Literature for Transfer Panels are already in your dashboard.